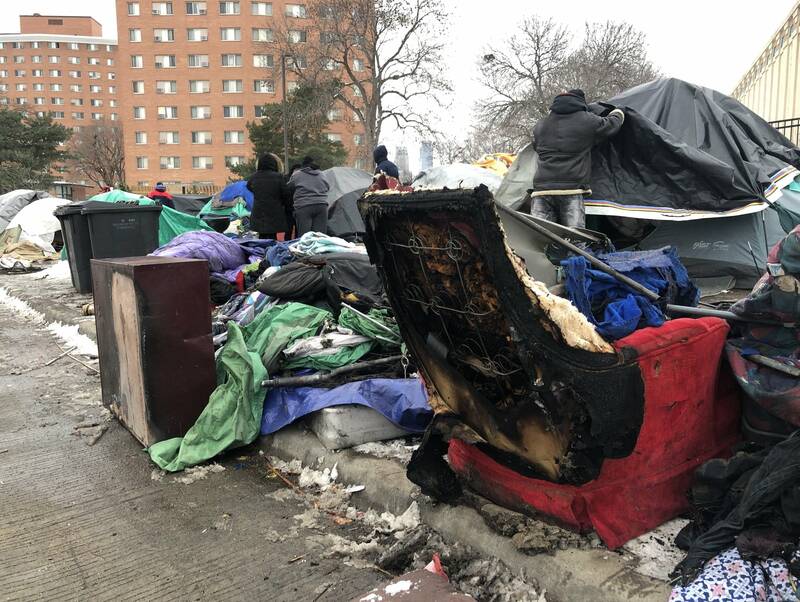 The Minneapolis Fire Department has started an overnight fire watch at the homeless encampment along Franklin and Hiawatha avenues. Assistant Fire Chief Bryan Tyner said the department has a truck stationed on the Hiawatha Avenue bridge overlooking the encampment. He said that vantage point lets the crew monitor for fires in the encampment — and if there is a fire, they can respond as quickly as possible. 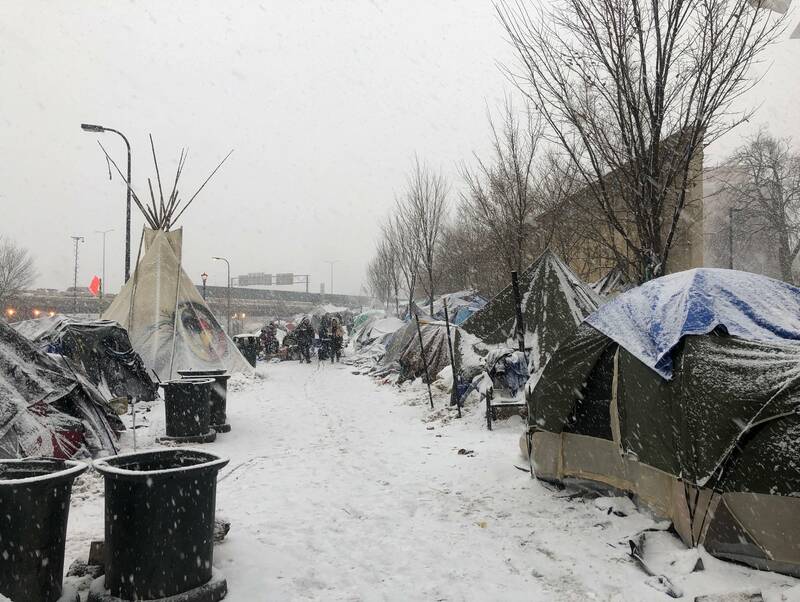 The encampment has seen two significant fires and a number of smaller ones in recent weeks as residents struggle to stay warm around campfires. Several tents burned in each of the two larger fires, but there were no reports of serious injuries. Tyner said the fire watch will continue "for the foreseeable future," as long as the encampment is at that location. The fire department also has set up a warming tent with a generator, across the street from the encampment. The warming tent is open during the day, and also provides a place for residents to eat meals.